The Core objective of the workshop is to meet and learn from the developers of Open Source Computer On Module,improve your development skills with in-depth sessions and training. This workshop will be jointly organised by Net4uonline Pvt.Ltd and CDAC Mumbai supported by Texas Instruments. In this session attendees get an overview of the Beagle Board and its OMAP3530 processor. Also, setting up the beagle board and building and running various Embedded Linux distros. The session also gives an overview of the Angstrom operating system, its architecture and major features. This session looks at the open embedded Builder and how to use it to create operating system images and cross compiled packages. This session will provide an overview of the software and hardware features available on the OMAP 3 BeagleBoard platform relevant to consider when creating 3D user interfaces, with a summary of Linuxʼs graphics software stacks(integrated SGX hardware graphics accelerator), and an introduction to creating user interfaces by using Clutter. In this session attendees get an overview of Hawk Board and its OMAPL138. 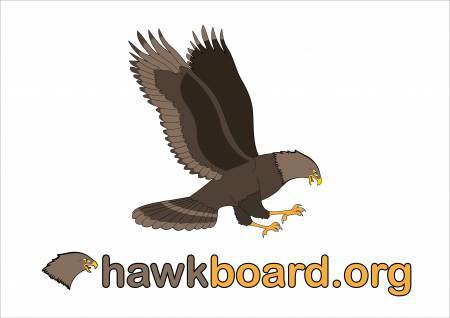 More about getting started with Hawk Board with Ubuntu. H.264/MPEG-4 Advanced Video Coding is an international standard for video compression. The aim of the standard is to provide as good a video quality at lower bandwidths. The standard has created a set of profiles like Constrained Baseline Profile (CBP) for video conferencing and mobile applications, Main profile (MP) for broadcast and storage applications, etc. While the encoding or producer functions can be expected to work on high performance specialized equipment, the client side decoding needs cost effective equipments like set top boxes in large numbers. While the computationally intensive functions can be offloaded to special codecs and DSPs, there are other aspects to be handled by a CoM. Grid tie of SPV requires CoM. The important functions in the CoM are 1) Inverter functions to convert DC to AC using Pulse Width Modulation (PWM), Space Vector Modulation (SPV) and Maximum Power Point (MPP) tracking. 2) PV generation monitoring and reporting system and 3) Smart grid related protocol handling. Of these the inverter functions are required and the other two are increasingly becoming important. Using Android on beagle board & working with its various peripheral. Overview of Andorid OS and process of getting start with Android On beagleboard. As there are new entries of beagleboard XM and Panda Board with more power at same cost. Introduction & overview to various features of beagleboard XM and Panda Board. Specially newly arrive PandaBoard demo. I will update soon about Registration and Schedule on this blog. This initiative was taken by my friend and Beagle Board Community member Siji Sunny. Discussion about this workshop started here. We as group member of Open ARM Lab are planning to attend this workshop together. We also planning to arrange follow up workshop in Pune with help of TI & Khasim. I am BE Computer Fresher i want to ask u that how much this work shop is benificial to me. If have interest in Linux or Open Source or Mobile technology or Embedded technology then you must have to attend this workshop. Thanks for your comments. Yes we really spread awareness about Embedded System in India. We will try next workshop which will target students. I know you are there with us. So lets meet & plan something. What are the material prerequisites for this- Do we get our own computers or are they provided at the venue? Are the boards provided for use at the venue or do we need to purchase our own before the workshop? Are there any other prerequisites- material or otherwise? There is no other prerequisites- material. You can bring you laptop. I request you to arrange the same workshop in pune as well.. Yes, I am discussing with Khasim & Siji. So I hope that, by Dec or Jan we will have same event in Pune. We as Open ARM Lab planing to organize such event in Pune in Dec 2010.